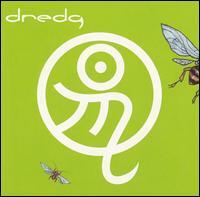 My love for dredg was birthed from the internet. They have a pretty big following on the 'net. They're all about the high art aspect of music. Their albums are conceptual and usually have a slew of artwork with hidden messages that accompany each new album. For Catch Without Arms, a painting made for each song. The one below for "Zebraskin" is titled "Truth and Imagination." Unfortunately, this leads to rampant speculation by the fanboys and fangirls that follow dredg. Also, this leads to some worthy analysis of the music and lyrics. Here's an excellent interpretation of "Zebraskin." 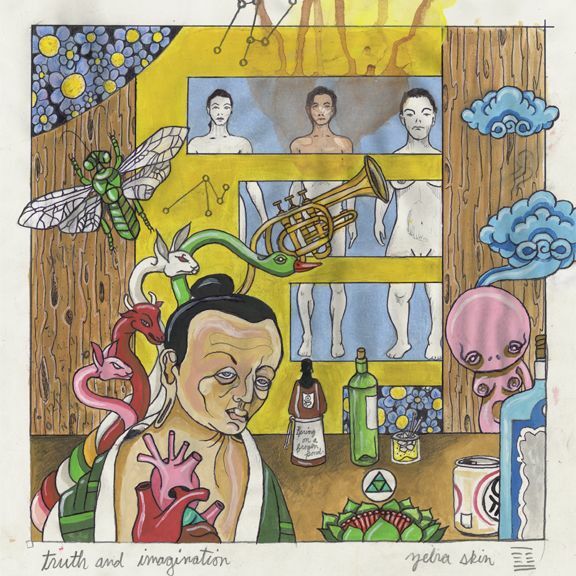 "Zebraskin" is a definite departure from the norm for dredg. This track has an almost R&B feel to it, which works for me. The entire album has a more accessible feel to the music. It's a lot simpler and less dense than the music on their previous albums. I first got excited about this track when I first heard it on the leaked Coquette Demo. The alternate version of "Zebraskin" was mis-titled as "Sang Real" on the demo and had a somewhat salacious bridge section. I have been fortunate enough to see dredg live thrice. Two were during the tours for the album prior to Catch Without Arms, El Cielo, and once recently for the tour behind 2009's The Pariah, the Parrot, the Delusion. I cannot recommend them enough. Below is a bootleg video of dredg performing "Zebraskin," followed by "Stone by Stone," which doesn't have cowbell. The performance of "Stone by Stone" is interesting because of what the frontman, Gavin Hayes, does to the fan videotaping in the front row.